Buying a new backhoe loader is a great investment in your fleet. 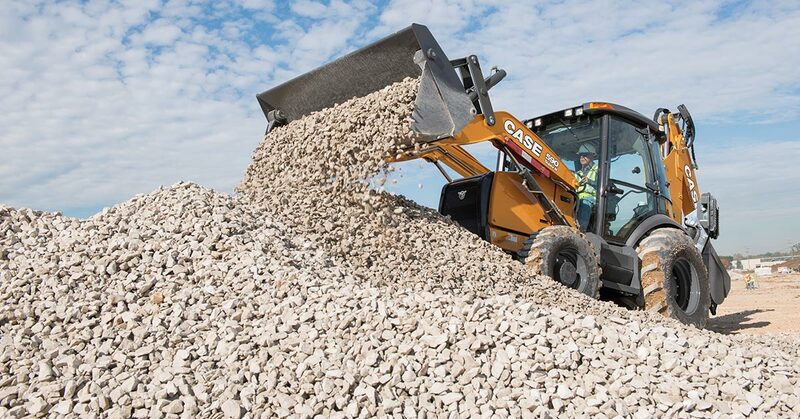 These compact, versatile machines are like a mix of loader, excavator, and tractor. This makes them well suited to a broad range of construction, agriculture, landscaping, and other applications. Plus, they can be equipped with all sorts of attachments that open them up to plenty of other uses. Below are some of the major considerations when buying a new backhoe loader. It’s important to discuss all your needs and intentions for the equipment with your dealer. This ensures that you purchase a machine of optimal size, specs, and setup for its applications, which in turn ensures that the backhoe works safely and efficiently, and that it doesn’t suffer any unnecessary wear. Know what you’re doing with the machine. Buying a new backhoe loader should start with a clear picture of what its life will be like in the foreseeable future. What applications will it be used for? What materials will it move? What reach and dig depth will the arm need? What are the operators’ preferences? Will it be roaded much (making operator comfort and material spill control more of a priority), or trailored? What attachments will it use? As an extension of the above point, it’s helpful to know which attachments you want to use with your new backhoe loader. This affects whether you need to purchase heavy equipment with unidirectional or bidirectional hydraulics. Often, a combination hydraulics configuration that allows the operator to switch between these alternatives is best. Review the reach and dig depth specs. Smaller machines are more about lift capacity than reach and dig (more on this in the next bullet point), typically only offering a dig depth of about 7 to 10 feet. Average-sized backhoes can generally dig at least 14 feet, while the largest models can dig up to around 60 feet deep. Consider special lift options if applicable. Some of today’s leading backhoe loaders have optional special features for lifting and placing materials. These are well worthwhile if you intend to use the machine for these tasks. Ensure that it has enough power for the intended loads. Many times, you can get away with a smaller model if your priorities are on lifting and breakout power rather than reach and dig depth. Choose appropriate buckets. Select back and front loader buckets based on their width and how much weight they can support. Also consider whether the machine needs other capabilities like side-dump for work in tight areas. Pay close attention to the cab. A cab design that emphasizes operator comfort and visibility is important to productivity and safety on the job. Also, controls should be intuitive, user-friendly, and in line with the preferences of the people who have to use them; they should also be adjustable in key ways to accommodate the preferences of multiple operators. Read more about what to look for in heavy equipment cabs. Choose a backhoe loader with advanced telematics. When it comes to monitoring the performance, health, usage, and location of your heavy equipment, nothing is more useful than a robust remote monitoring system. 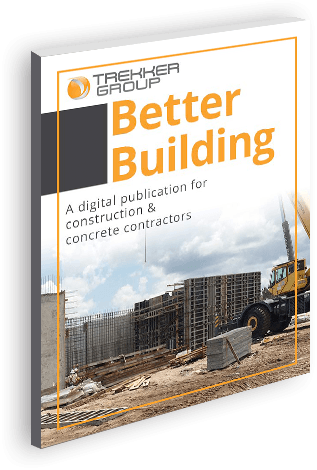 It’s an effective way to keep on top of productivity, machine-related overhead, maintenance schedules and needs, and more. Purchase from an exceptional dealer. Look for a great warranty and a great long-term maintenance contract to protect your investment. Your dealer should be willing to deliver parts and components and should have factory-trained technicians for shop- and on-site maintenance and repair services. And just for the record, Trekker offers all this and lots more! 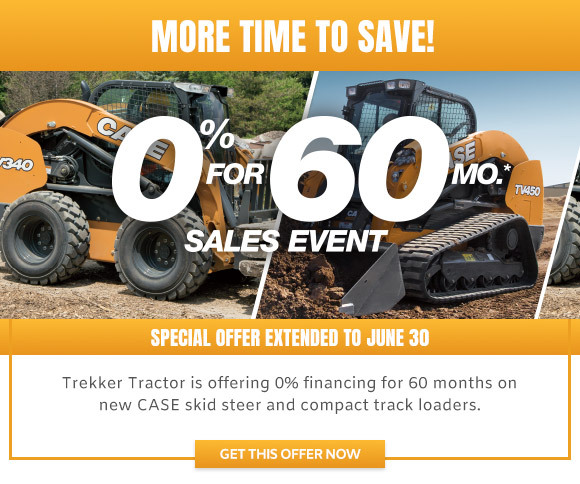 Need a new backhoe loader? 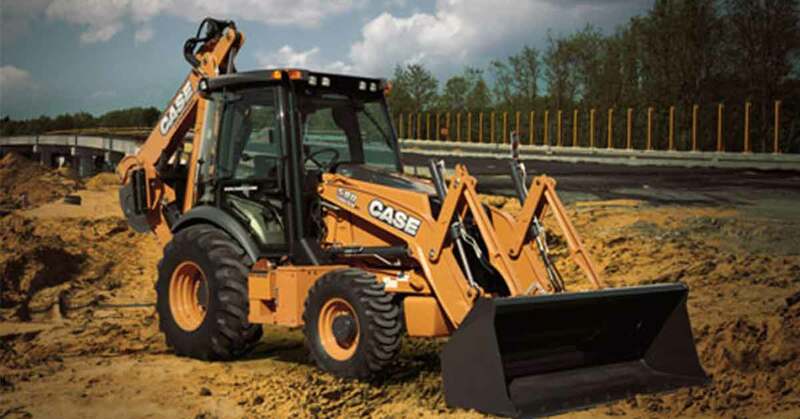 Buy a powerful, reliable CASE backhoe loader from Trekker for unmatched service and support.